Jigs are the most versatile tool in any walleye angler’s tackle box. Like any technique, there are details and nuances that can make you successful or unsuccessful. If there is one aspect of jig fishing that is often overlooked, it would be the importance of versatility. There is not necessarily a right or wrong way to fish a jig. When the fish are biting, you can fish a jig in a lot of different ways and get bit. When conditions get tougher however, we often see a particular stroke or jigging style produce and catching fish is all about locking into that specific mojo. The best jig anglers can tap into that mojo. The cadences and strokes can vary dramatically from sharp snaps and pops of the rod tip in varying windows to subtle drags and shakes mixed with lifts and holds. Think of each attitude, each fishing style as a channel on an old black and white television set. Turn through the channels until you find the right station. Jig stroke and cadence however are not the only variables you can experiment with to jig your way to more walleyes this spring. 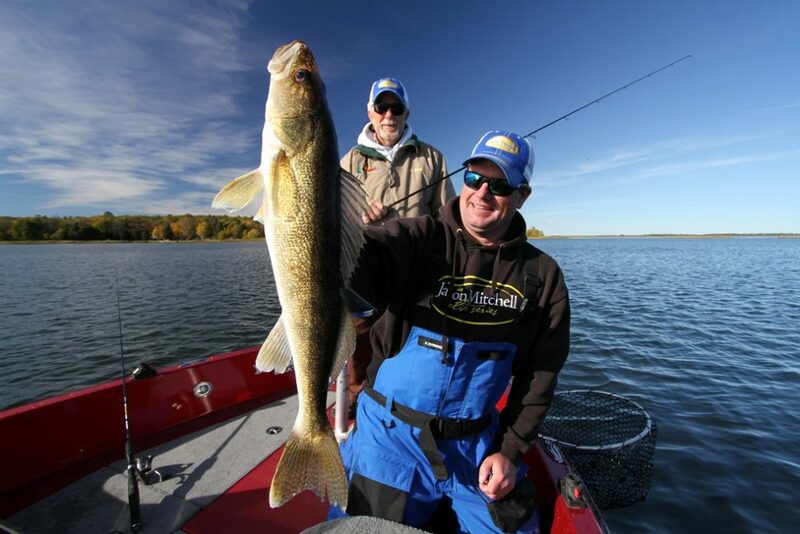 Here are ten of our best jig fishing tips to get you ready for the walleye opener this season. Mono or Braid? Some anglers make the mistake of believing one is better than the other. Not so simple. We have found several situations especially early in the season where the flexibility and stretch of mono trumped the sensitivity of braid. On the flip side, we have also seen situations where the hook sets were much more effective with braid. 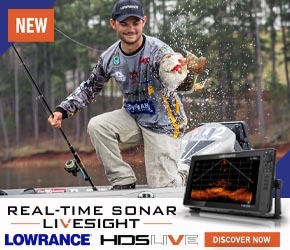 If you are missing fish or not getting bit, the answer is simple… switch. Keep a rod rigged up with mono and a rod rigged up with braid like Northland Bionic and switch back and forth until you start hooking up consistently. It is amazing how on some days, one line will work better than the other. Watch the Line. Bites often get felt at the bottom of the stroke or on the lift as a stroke is repeated. More bites often get seen anywhere on the descent when fish punch a descending jig. If the line twitches or jumps, set the hook. Many avid jig anglers swear by high-vis line so that they can distinguish these bites easier. Anglers go gaga over colors and finishes on jigs. Some days, high visibility colors like chartreuse and Moon Glow are the ticket. The hook on the jig however trumps color. Always have a hook file in the boat and sharpen the hooks throughout the day. The best jig is a jig with a really sharp hook. Amazing how dinged up hook points can get fishing through rock, clam beds and rip rap. A jig will keep pounding walleyes long after all the paint is chipped off as long as the hook point still has an edge. Also, match up the hook size and gap to the bait you are using. Use the biggest hook you can get away with to increase your batting average on hook sets and also for keeping bigger fish pinned up. Long Shank versus Short Shank. One of the most popular and effective jigs of all time has to be the Northland Tackle Fire Ball. This particular jig has a short shank. The advantage of the short shank jig in my opinion is how the minnow or bait rolls on the jig as it is moved across the bottom. The minnow in particular seems to put off a lot more flash. Long shank jigs however have a place. While the action might not be as good on the bait, you can sometimes increase your hook ups with long shank jigs because the hook can be threaded further back into the bait. Long shank hooks also allow for double hooking and threading which can make you more efficient when fishing through debris or when pitching. Experiment with both. Heavy Factor. 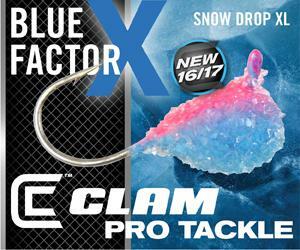 Anglers often preach the mantra of using as light of a jig as possible. Just as often however, we often catch more fish by using as heavy of jigs as possible. In rivers or current situations for example, heavier jigs can be fished slower in faster current and can be kept close to the bottom. On tough bites on still water, heavier jigs allow for more vertical up and down presentations especially when conditions make boat control tougher. Working down the scale to lighter jigs is always an option but don’t hesitate to work up the scale to heavier jig weights to find out what is working. The Count. The general consensus amongst jig anglers is to set the hook when a bite is distinguished. There are situations however when feeding the fish some line or at least pausing momentarily can increase hookups. If you are missing fish, experiment with the amount of lag time between when you feel the bite and when you pull the trigger. There are days where a second or two or delayed response can pay off. Line Angle. Assuming that both anglers in a boat are using the same jig weight. If one angler is catching fish while the other angler is not, match up two variables. The jig stroke is the first variable to duplicate. The second is the exact angle the line takes from the rod tip to the water. Rod Action. For many jig fishing applications, you can’t go wrong with a medium power fast action rod like the Jason Mitchell Pro Walleye JM621MS which is a rod we designed specifically for the purpose. Some situations however require either a stiffer or softer blank. Match up your jigging formula to the optimum rod action. Too stiff and fast or too soft and moderate of a rod action can cost your dearly. As a general rule of thumb, aggressive jig strokes, far casts, current or heavier jigs require a much stiffer blank like the Jason Mitchell Pro Walleye JM721MS. Pitching and working light jigs, dragging and soft jig strokes along with horizontal behind the boat jig presentations can often be much more effective with the lighter touch found on the JM641MLS. Cast More. Many walleye anglers fish a jig below the boat and below the boat works great but make a point to cast more this season. When searching for fish and going through a location especially when fishing rivers, it is amazing how much faster and more thorough you can work a spot. You still hit below the boat on the end of a cast but you also touch a lot more water. With two anglers in the boat, have one person fish below the boat and have one person cast around the boat… you will be amazed by how much luckier you get especially in regards to finding fish. Versatility. The best jig anglers can flip the switch and change like a chameleon. Turn through the variables until you get the mojo going. Monitor the cadence and stroke by using words in your mind so that you can experiment and then go back to something. A mistake that sometimes happens to me especially early in the year when the fish want a slow and methodical delivery is that I get excited after catching a fish or two and by default find myself reeling a touch faster and snapping the jig with more enthusiasm not even realizing that I am making this minor variation to my presentation. On tough bites, I often half to talk myself back down to get back into the rhythm of what was working. Paying attention to detail and experimenting with these different variables can elevate your jig fishing game this season. With all of the presentations available for walleye anglers right now, jig fishing might top the list for effectiveness across the board just because you can fish a jig so many different ways. Not to mention, crossing an eye with a jig is a lot of fun.